Tandem Research was established in January 2017 by Urvashi Aneja and Vikrom Mathur. Our office is in Succoro, Goa – in a 100 year old manor house surrounded by mango trees. We are supported by a global network of researchers, including economists, sociologists, anthropologists, and engineers. 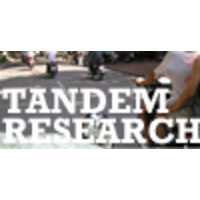 If you’re interesting in knowing more, or joining our network, drop us a line hello@tandemresearch.org.